If we’ve learned anything from the history and evolution of food, it’s that almost everything is better after it’s dipped in a vat of hot, bubbling oil. From French fries to zucchini fritters, there’s just something undeniably delicious about fried food—especially when you can eat it with your hands. Of course, fried delicacies are not reserved for the savory palate alone. In fact, you probably poked down a donut at the office this morning. Well, thanks to State Fair Treats — a state-fair inspired restaurant in Texas—there’s a new artery-clogging eat to add to your list. While you might be thinking something like the cookie couldn’t possibly get any better (even the boxed versions), you’ve obviously never had the pleasure of tasting a cookie fry. 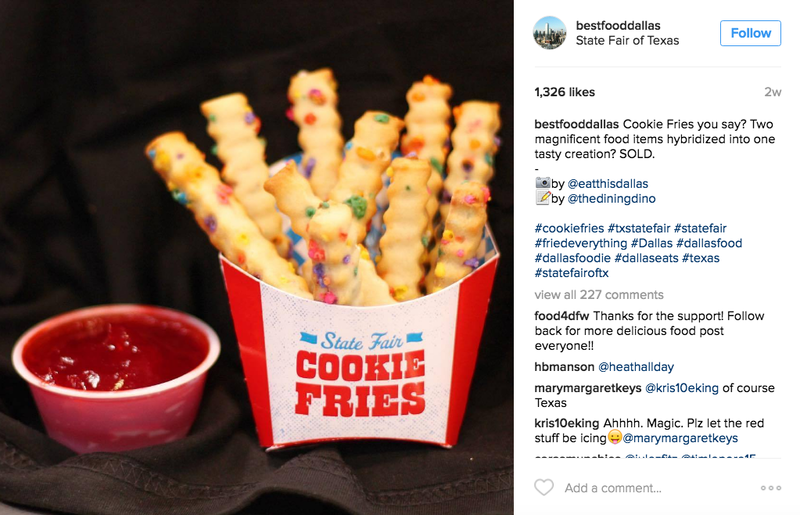 According to Danielle Tullo for Seventeen, State Fair Treats will be rolling out their ingenious ‘cookie fries’ next week. Essentially, cookie fries are what you’ve been dreaming they’d be: crinkle cut cookies—varying in flavor— served with either a strawberry or chocolate dipping sauce. 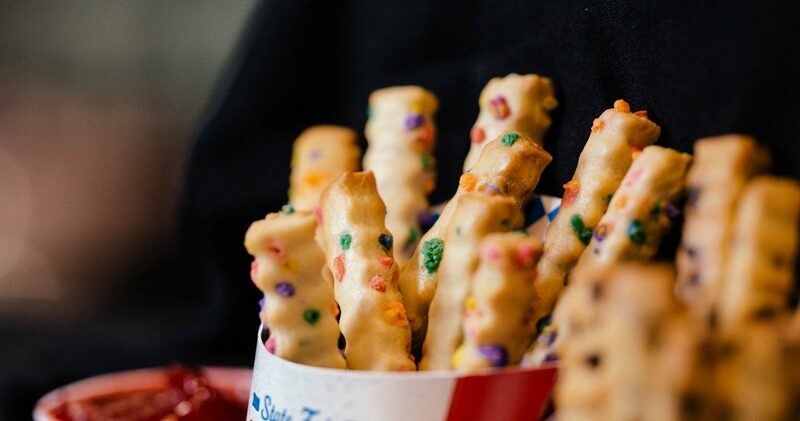 The fries were already named “Most Creative” snack at the Big Tex Awards, so we’d venture to guess consumers will be filing into the restaurant to give ’em a taste. But State Fair Treats isn’t the first eatery to dream up the cookie fry concept. 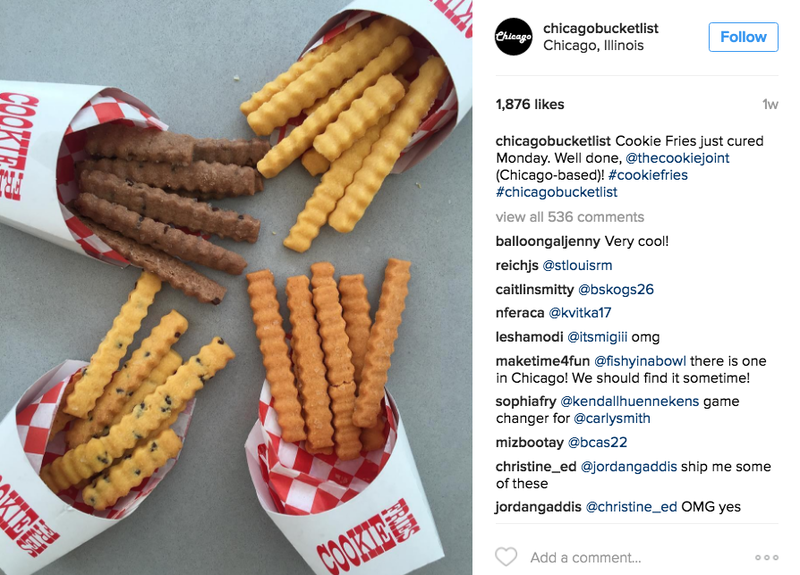 In fact, The Cookie Joint in Chicago has been offering this delicacy for some time now—and in more flavors, including chocolate chip, double chocolate chip, cinnamon spice, chocolate toffee crunch and confetti. So, hopefully these bad boys continue to make a splash wherever they’re being offered and ultimately make their way around the entire country.